Whilst our recent footballing attentions have been focused on sacked coaches and the humanitarian struggle to #SaveHakeem, the A-League has continued to throw up some amazing matches, situations and statistics. Friday night provided all three when eight goals were scored at Central Coast Stadium. The Roar scored five of them. Two Mariners managed to draw the ire of Stephen Lucas, thus ending their evenings slightly earlier than expected and the home side’s season points tally remains in single figures. Those seven measly points earned by the Mariners are a downright embarrassment to the club, its players and the A-League itself. I wish no ill-will towards the men in yellow, however a combination of failed signings, blown leads and a terrible defence have all combined to produce what potentially, could be the worst overall season of any A-League club in history. As the talk of the town in the pre-season, with Usain Bolt lurking about and chasing a dream that left him as quickly as it appeared, the Mariners had great hopes for 2018-19. The club took a revolving door approach to recruitment at the end of the previous season but in retrospect, most of the decisions now look questionable. The foreign signings of Kalifa Cisse and Ross McCormack bore no fruit and rather pointedly, the most consistent and dangerous player in the Central Coast squad has been an ex-NPL, dive bomber down the right, in the form of Matthew Millar. For full context, it is important to remember that Millar had a grand total of four A-League matches under his belt prior to this season. 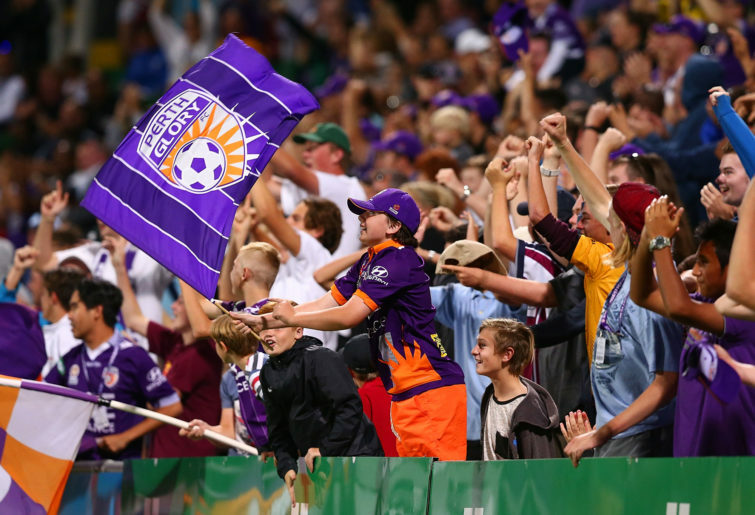 Just five days prior to the Friday night chaos on the Central Coast, the one millionth A-League patron slipped through the gates when Perth Glory took on Brisbane Roar in the west. Attendance has remained remarkably steady over the last two seasons with 10,816 people managing to find their way to the average A-League match thus far in 2018-19; a figure down one per cent on the previous season. While those numbers would fail to knock the socks from anyone’s feet, there are some positives. The Phoenix have hit the heights, adding around 3,300 to their season average as their Mark Rudan-inspired rejuvenation continues. The 23,648 fans who made it to Eden Park in Auckland when the Phoenix took on the Victory was the pinnacle thus far and reminded us all of just how poorly executed the New Zealand Knights’ adventure was. And thus, the notion of a Kiwi derby is raised once again. I’d love to see it, but will not be holding my breath. In spite of a nomadic lifestyle and some pre-season doomsday predictions, Sydney FC’s crowds have been impressive. Their average of 14,833 is almost bang on the figure from last season and Perth Glory’s recent home crowds have been impressive, as their team moves ever closer to a Premier’s Plate and a possible A-League Championship. If the FFA could just locate the 9,000 people who appear to have ditched the Wanderers since the 2016-17 season and offer cash handouts to keep Mariners’ fans interested, the crowd data could actually be spun quite positively. Despite the commonly held belief that the rather unfortunately named ‘Big Bash’ would make life very difficult for the A-League, it is an over-saturated cricket calendar that is causing headaches for the suits at the helm. While football has well and truly kept its head above water the same cannot be said for the ‘Bash’, with a 23 per cent drop in attendance this season which comes on the back of a 12 per cent loss the season prior. What once appeared a threat, now looks more like the cheap gimmick for which it has been exposed. With expansion on the horizon and the Wanderers taking the keys to their new home, there are some hopeful developments. In reality, we have had a damaged Roar and a busted Wanderers for two seasons now and any resurgence in those two key markets will have a positive influence on A-League attendances. Along with a Phoenix team inspiring pride and passion, there are signs that the league may soon have a bumper season of attendance, if and when Brisbane and Western Sydney do get back on their feet. At the completion of Round 20, an average of 3.00 goals per game have been scored in the A-League. Perth have knocked in 43 and the Mariners have conceded 48; an appalling figure in just 20 matches. Adam le Fondre has 14 goals to lead all scorers, Kosta Barbarouses is enjoying a golden season with 11 and Perth’s dynamic duo of Andy Keogh and Chris Ikonomidis have 20 between them. Perhaps the most compelling statistic of all is the single digit ‘1’. It is the precise number of matches that the Perth Glory have lost in their quest for a first A-League title. Frankly, they look sure things. The Victory loom as the only significant threat. Sydney FC look to have lost the edge and Wellington may lack the experience to get the job done on the big stage. Melbourne City, Adelaide and perhaps even a fast finishing Jets will probably make up the numbers late in the season. However, with the leagues penchant for unpredictability, perhaps all the numbers mean very little and there are a few twists in the tale yet to come.